New location, new Brands and New Balances, this seasons show was at Spring Studios in New York City on Saturday, October 17th. 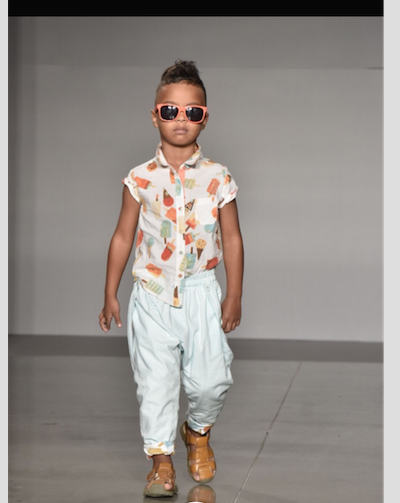 petitePARADE is a bi-annual children’s fashion show in New York and Miami. 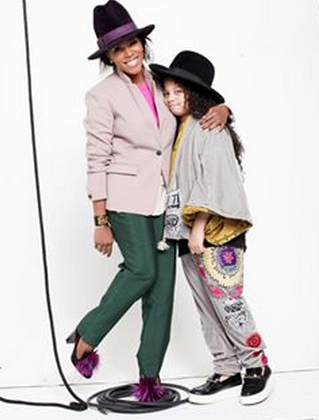 Students from Parsons School of Design showcased their children’s wear collections. 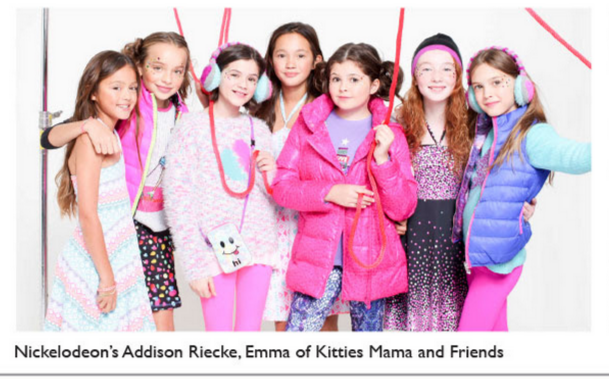 The audience was presented with spring collections from diverse brands such as Marin+Morgan, Olvi’s, Laer*,Little Miss Matched, and Jessica Simpson girls collection. I arrived in time for the Jessica Simpson show. The collection featured soft pastels, peasant tops and washed denim. The swim wear was in bold colors like hot pink and range from cut out one-pieces to full sun coverage suits with zippered sleeves. All the models had feathers adorned in their hair as they strutted down the runway to Yellow Submarine by the Beatles. New Balance after party hosted by CirKiz! Started off with an awesome performance by dance crew Waffle NYC and then they invited the kids to party on the runway with tunes by 9 year old DJ Alden. In the crowd, celebrities, stylists, reality stars, mommy moguls, bloggers and mini fashionistas. Spotted in the crowd that afternoon celebrity stylist June Ambrose, Addison Riecke from Nickelodeon’s hit show The Thunderman’s, reality star Traci Dimarco and her cute baby girl Skylar. MJ met 5 year old Luke Burns who was featured in Pharrell’s Happy video. I thought the show this year was very exciting and fun with more activities for kids to do such as photobooth and the dance party. This entry was posted in Boys Fashion, Celebrity, Events, girl fashion, style and tagged addison Riecke, boys fashion, children's clothing, children's fashion, Clothing, fashion show, jessica simpson, june ambrose, kids fashion week, laer, little miss matched, new balance, olvi's, parsons school of design, Petite Parade. Bookmark the permalink.